Difference between Defect Priority and Severity is one of the most confusing concept or term in software testing. Most of the organizations use the defect priority and severity attributes in their defect management combined whereas few may have either defect priority or severity alone. 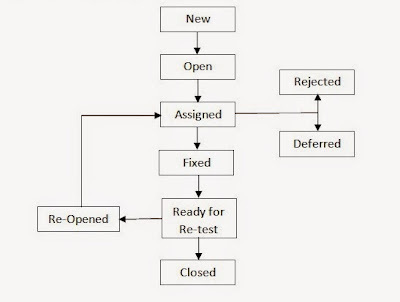 Defect Priority defines the order or sequence in which defect should get resolved and the Priority status is set by tester while raising the defect with time frame details. It is the questionnaire to ‘Should developer fix it now, or can wait?’ If high priority is mentioned then the developer has to fix it as early as possible. Defect Severity defines the seriousness or business impact that a particular defect has on the system. Simply it means how seriously the defect is impacting on other parts of the application. High Priority and Low Severity: The spelling mistakes or wrong placement of the company logo on the main/home page of an application. High Severity and Low Priority: An error which occurs on the functionality of the application and will not allow the user to use the system but on click of link which is rarely used by the end user such as Connect with us or Login using Facebook, Twitter, Google+ on the shopping portal. Low Priority and Low Severity: Any cosmetic or spelling mistakes which is within a paragraph of the e-commerce portal. Critical: Entire testing is affected and system is unable to use. All testing will be stopped till defect get fixed. No workaround exist to continue with testing.E.g. 404 Page not found, 500 internal server error. Major: Majority of the modules are impacted. Defect needs to be fixed as soon as possible. System cannot be used until fix is done. Workaround may be available to proceed with testing.E.g. Wrong implementation, Wrong calculation. Minor: Few of the testing modules are not working fine but testing can be continuing on other modules. The affected modules testing will be stopped until defect gets fixed. Workaround exist to continue testing. E.g. Wrong alignment, Inconsistency issues, spelling issues. Depending upon the Defect Severity, developers fixes the defect. The critical or major defects needs to be fixed as early as possible as these defects affects the business. What is Defect Priority and types of defect priority? 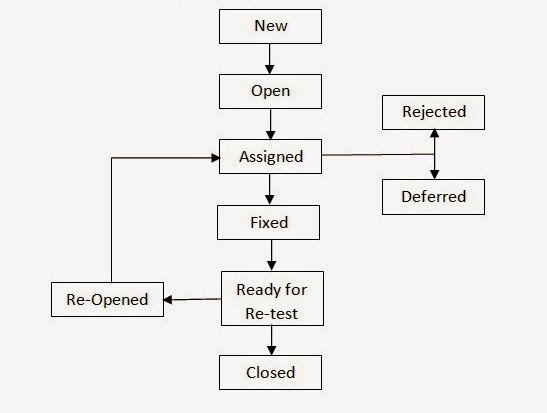 Defect Priority is defined as the order or sequence in which defect should get resolved and the Priority status is set by tester while raising the defect with time frame details. It is the questionnaire to ‘Should developer fix it now, or can wait?’ If high priority is mentioned then the developer has to fix it as early as possible. Urgent: All the testing functionality is impacted and stopped. Such serious affecting defects needs to be fixed immediately. High: Majority of the testing functionality is affected and testing for this module is stopped. Such defects must be fixed before testing has completed. Low: These are cosmetics defects which should get fixed if time available. Depending upon the Defect Priority, developers decide when to fix the defect. For each defect raised by testing team, developer has to provide the SLA to fix the defect.